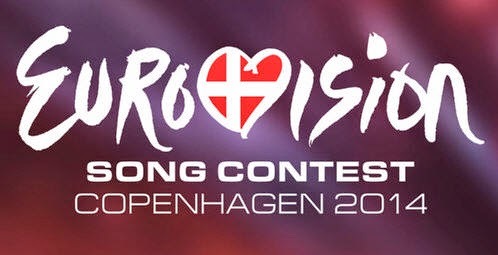 Eurovision 2014 may not end up being a vintage year to remember, but with no obvious frontrunner it's definitely going to be a tight competition. So what can we expect, besides the usual penchant for attractive women? For the most part, the campy fun the competition is known for is missing, with most countries taking the competition a little more seriously this time around. That means plenty of ballads and folky ditties, though the spirit of Loreen still looms heavy with some techno Eurodance in the mix too. That said, even Sweden - so dependable in recent years - have lumped in a fairly dull ballad (when it could've been this), whilst Ireland (still historically the biggest winners) have a lacklustre effort that might not even make the finals. Then there's Ukraine's Mila Kunis lookalike who could win on sympathy vote alone, but can they even afford to host it next year? Indeed, there are plenty of unexpected surprises this year, most of all a return to the traditional Western Eurovision countries for the most interesting entries. Perhaps the UK could actually make the left side of the board this time? One thing's for sure though: no matter how good their entry, Russia will be booed. Though the Netherlands have won the competition four times, their last win was in 1975 and their reception has been mixed ever since. That said, last year's retro ballad from Anouka stood out and Calm After The Storm is a similarly unique entry that's all American country vibes and slide guitar. It's not especially Dutch or Eurovision sounding, but it's an interesting proposition nonetheless. Traditional Slavic musical influence? Check. Big-breasted women? Check. Revealing traditional costumes? Check. Butter churning? Erm....check. What more could you want from a Eurovision song? There's a distinct lack of rock in this year's competition, but after winning with Lordi's infamous Hard Rock Hallelujah you can trust Finland to crack out the guitars. Softengine may not have the charisma to really set this song off, but Something Better brings some stadium-sized indie rock to Eurovision 2014 that would give 30 Seconds To Mars a run for their money. Wait...isn't that...Ruth Lorenzo? The one on X Factor who shouted her way through Purple Rain? Yes, yes it is. That alone should win some votes from UK fans and here she is with another rain-themed song, one of the few songs to include a native language. You wouldn't want any other singer belting out a power ballad. Fingers crossed she and that dancer do actually dance in the rain as in the video below. Wow, Adele lost that baby weight quickly. Seriously, if you're going to imitate any UK artist right now you might as well make it the most successful star in recent memory. It makes for the best UK entry in a very long time - not that that's difficult following Bonny "holding out for a Zimmer frame" Tyler and Engelbert "please release me from this living hell" Humperdinck. For once we actually stand a chance, though it's in desperate need of a key change for that final chorus. What's better than a ballad or some Eurodance? Mashing the two together, that's what. Armenia are bringing the drama this year with a dark piano ballad that morphs with a powerful dubstep drop reminiscent of Alex Clare's Too Close. It's just a shame it doesn't actually have a chorus, which could hamper it in the long run. It's been years since France have done well in Eurovision, perhaps for their insistence in taking the competition too seriously and always singing in French. That's set to change this year. In a sea of dirge-like ballads, Moustache stands out for being fun above all, despite actually being a semi-serious satire on modern consumerism (no, really). Its only flaw is that it bears a striking resemblance to the hugely popular Papaoutai from Stromae. Yet if Eurovision is all about providing a chart-ready hit that reflects what's popular in each country, then France have it spot on. If 2014 is the year of the ballad, then it only seems right that the best of the bunch should win. As with last year (the excellent I Feed You My Love from Margaret Berger), Norway stand out for doing things a little differently - Silent Storm is arresting for being the only song that's predominantly just piano and voice. It's perhaps too melancholic for some Eurovision viewers, but it's a beautifully intimate song full of vulnerability that's wonderfully unexpected for the competition. Moreover, Espen has signed to a major record label (Sony Norway) and is set to be a huge star in his home country - much like Loreen was in Sweden back in 2012. Expect to hear this across Europe in the coming months. So Portugal didn't make it past their Semi-Final *sad face*. However, having given Sweden's entry from Sanna Nielson a thorough listen (it's been on repeat), it's grown on me considerably. It might be yet another ballad, but its melismatic chorus hook is incredibly catchy. Just imagine how good it would sound with some beefed up production. And Robyn singing it. I'M SORRY I EVER DOUBTED YOU SWEDEN.